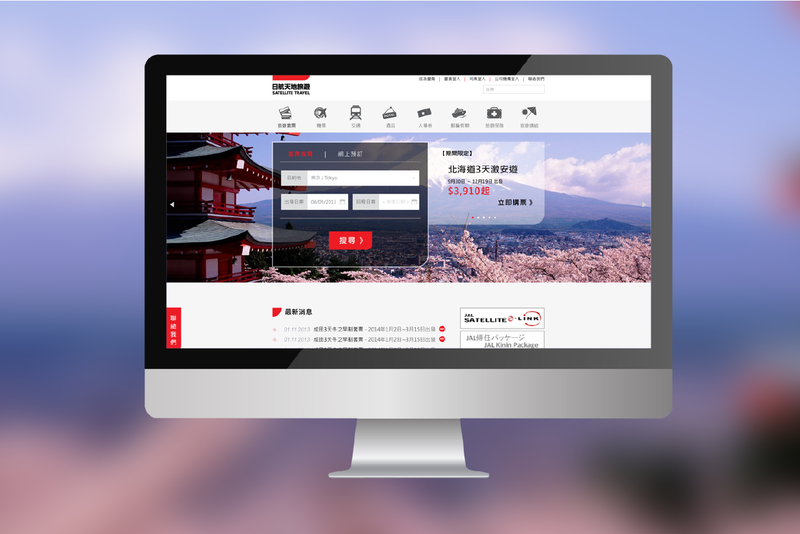 With the growing trend of self-guided journey, JAL Satellite Travel have positioned themselves as a diverse travel company by providing a wide range of services, which covers from guided tours planning to online booking services. To generate a vivid perception for customers while maintaining a professional image, we invested considerable effort to design an eye-catching layout. On the other hand, we ensured the demand for constant and reliable system performance from online booking purpose. We aimed to create a one-stop platform to fulfill the requests for all phases of organizing a vacation or joining a guided tour. Comprehensive and in-depth research has been implemented to understand the obstacles that customers generally undergo in their purchases. Details from a variety of attractions and related offers are gathered to assist customers to customize their journey. Meanwhile, a stable and secured structure has to be constructed for online booking.